The Plant, which ribbon was cut by representative of the District Commissioner in Zorzor, Hon. Joseph Bedell at the weekend, aims to bring rapid production to cassava in Zorzor and Salayea with a population of about 64, 282 people. 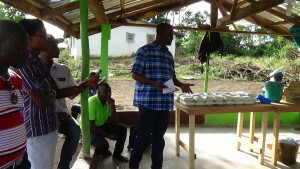 Speaking at the dedication program, the Executive Director of Camp for Peace Liberia, Mr. B. Abel Learwellie explained in his overview that the dedicated plant has the capacity to process 30 – 40 bags of cassava into high quality cassava fufu powder, starch, garri and many other products per day. He said the initiative is part of a follow-on project for participants who have gone through the mentor and sponsorship of Camp for Peace Liberia’s vocational program since 2012. He also stressed the importance of value added product of local food commodities which he believes when properly cultivated will increase incomes for farmers as well as create jobs for the young people of the region. He used the occasion to acknowledge partners who have contributed so much money to this development initiative. He acknowledged the Healing Exchange in Toronto, Canada for purchasing the machine and providing funds for the training of the participants. He also acknowledged Ann Beckett of Toronto and the Center for Sacred Studies in California for providing funds for the transport and construction of the plant facilities. The United Steel Workers of Canada and the MNYS of New York were also acknowledged for their support to providing vocational training to these disadvantaged youths since 2012. Highlighting the important of the project, the Managing Director of the Bravo Sisters Incorporated, Mr. Mongar David said that the plant is an opportunity to create industrialization and revolutionize cassava production in Lofa. He said cassava being Liberia’s second stable food should be taken serious for production. Mr. David added that no parts of cassava is a waste and is considered as the magic plant. He said the product from cassava has a moisture content of 20 percent which can make it last for 12 months so that even if one wants to export, the quality is guaranteed. He therefore encouraged farmers in Zorzor and Salayea to produce cassava that will be able to feed the capacity of the machine. 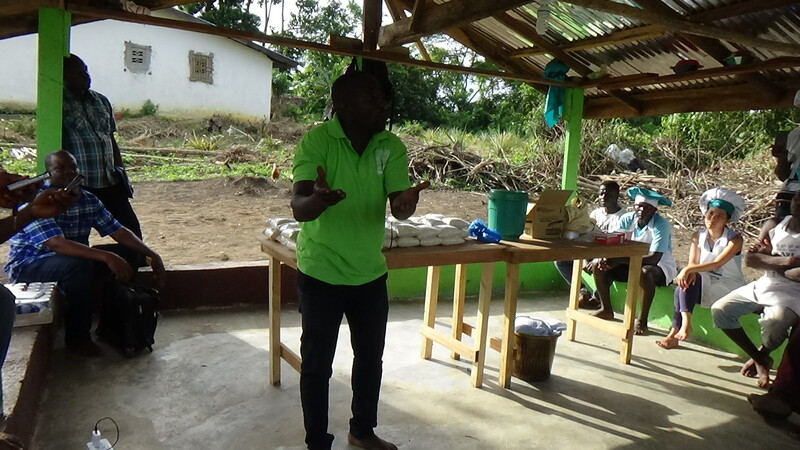 For his part, the Agriculture Coordinator of Zorzor District, Mr. Williewuo Tokpa Gayflor lauded Camp for Peace Liberia and its partners for this milestone initiative. He said the project is an opportunity to create mass local employment for youth in the region. 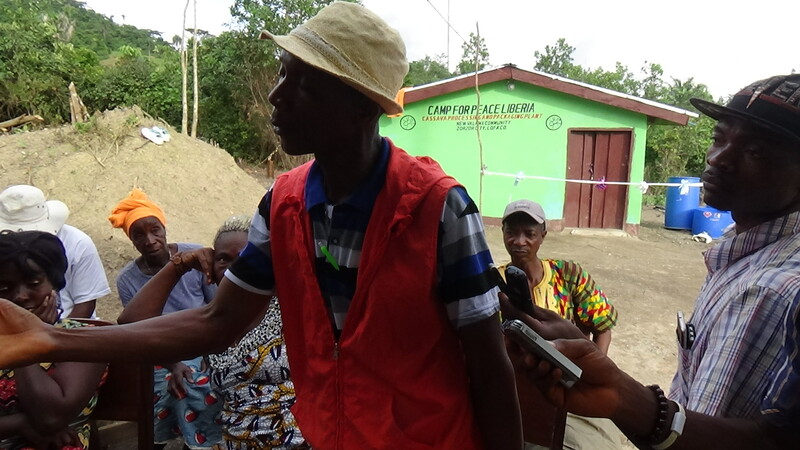 He said Camp for Peace Liberia’s model of development is quite unique because the beneficiaries feel a part and ownership of what is unfolding right now. Meanwhile, Mr. Learwellie is appealing to the Liberian government and International Non-Governmental Organizations to support Camp for Peace Liberia in exploring the untapped farming resources in the area to create job opportunities for the youth. He said this will make young people to remain focus instead of engaging in unwholesome behavior and violent extremism.